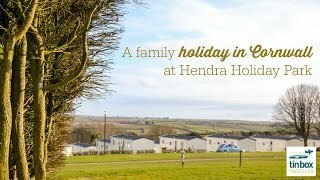 Hendra, one of Newquay’s most popular parks, is now over 40 years old, but still at the forefront in providing a wide range of facilities and entertainment, which makes for a memorable holiday experience. It is a large park with 280 caravan holiday homes to rent and 548 touring pitches on well mown, mostly terraced, grass fields with country views and mature trees, some pitches are more sheltered than others. With tarmac roads and lighting, 311 pitches have 16A electricity and 28 pitches are fully serviced including water, electricity, light, sewer drainage, satellite TV connections and some innovative awning pads (dogs are not accepted on these pitches). 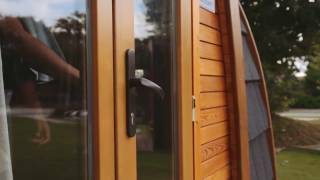 Ten camping pods have been added this year. This is an excellent, well maintained site with extremely helpful staff. The main attraction is perhaps the Oasis complex (open to the public) comprising an indoor fun pool with flumes, river rapids and beach. The outdoor heated pool with grass sunbathing area is free to campers. A wide variety of entertainment is on offer: comedians, bands, cabaret, dancing, bingo, discos, as well as the Terrace bar and restaurant, a pizzeria and fish and chip shop. 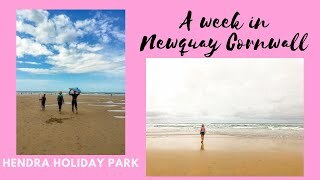 The park is only 1.5 miles from Newquay and its fabulous surfing beaches and a bus to the town passes the gate. 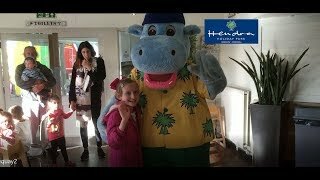 Hendra welcomes families and couples. A member of the Best of British group. Three modern fully equipped toilet blocks including facilities for babies and disabled visitors. Large launderette. Motorhome services. Gas supplies. Well stocked shop. Various bars, restaurants, takeaway and Pizzeria, open all season (limited hours in early season). Outdoor swimming pool. Indoor pool complex (cost £3 per person or £19 for 8 tickets). Various play areas including new indoor play centre. Games field. Scooter and skate park. Amusements. Comprehensive evening entertainment. WiFi throughout. Park is on left side of A392 Indian Queens-Newquay road at Newquay side of Quintrell Downs.